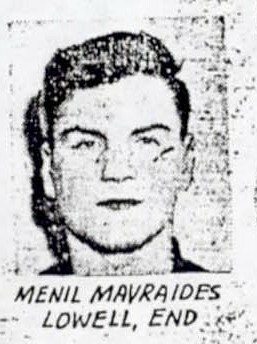 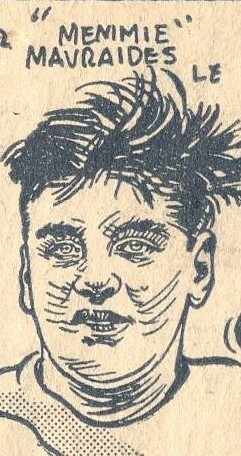 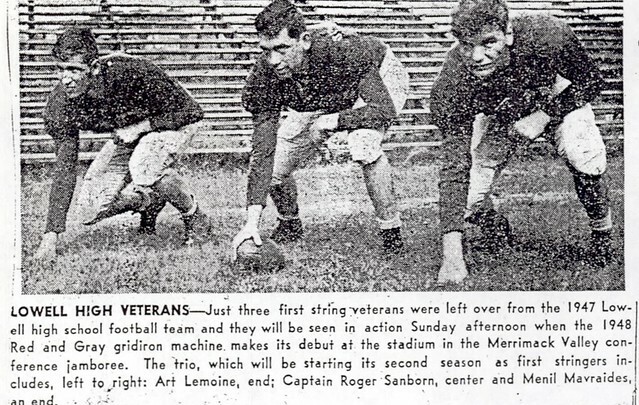 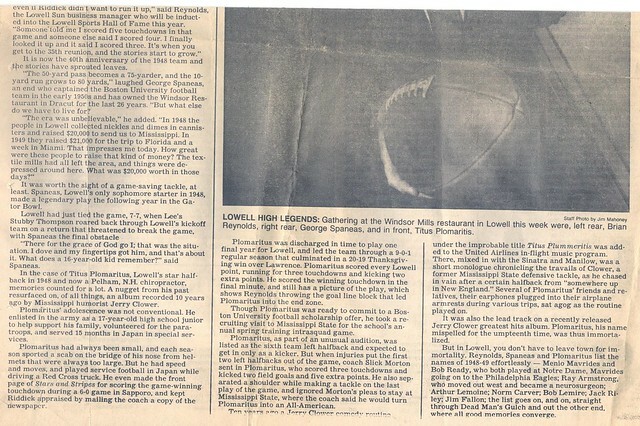 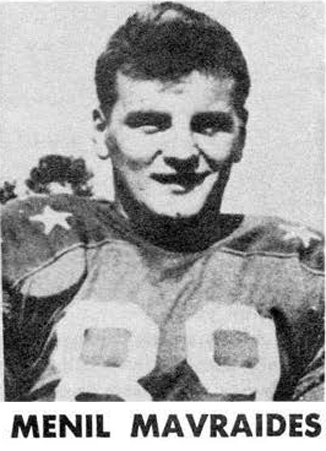 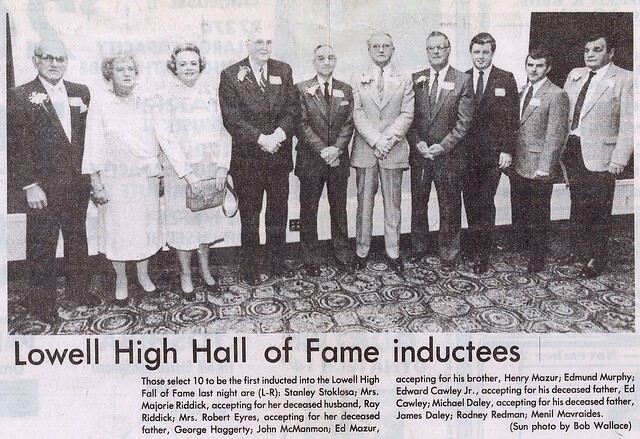 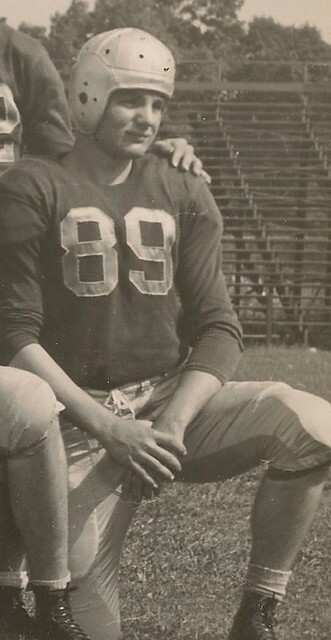 One of the first great stars of the Riddick era, Menil “Minnie” Mavraides achieved football honors at three levels–High School, College, and Professional. 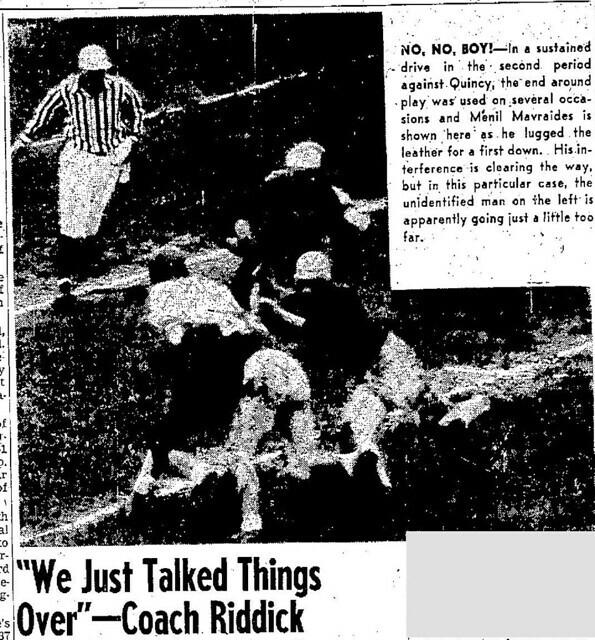 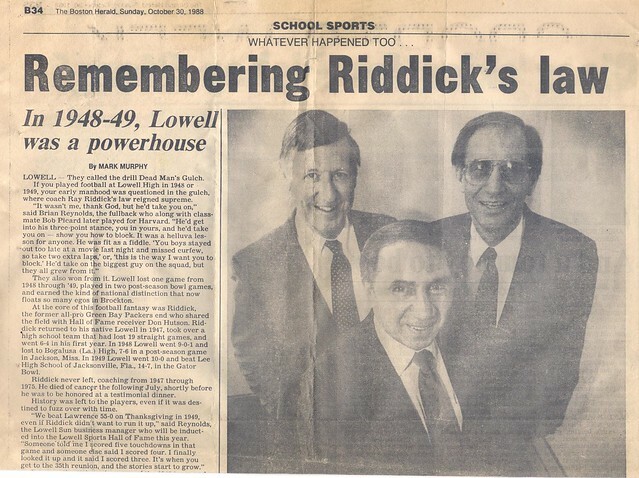 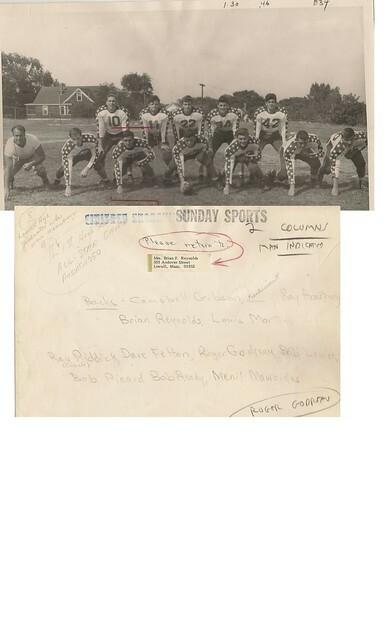 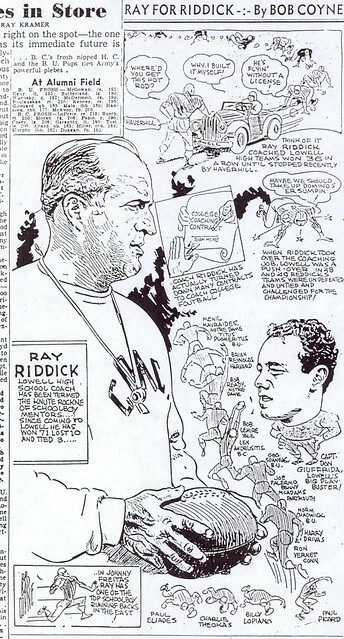 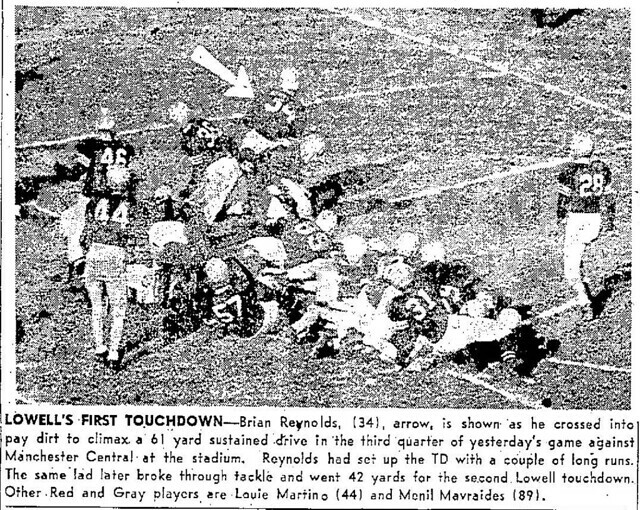 Minnie started his varsity High School Football career in 1947, the same year as his coach, the legendary Ray Riddick. 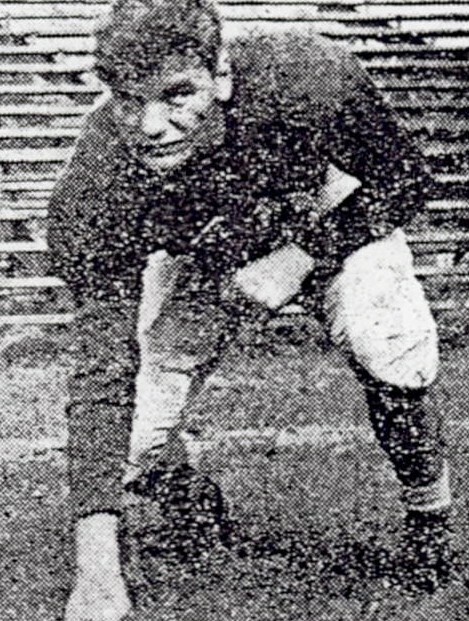 He was a mainstay as a three-year starter at end during his years with the Raiders. 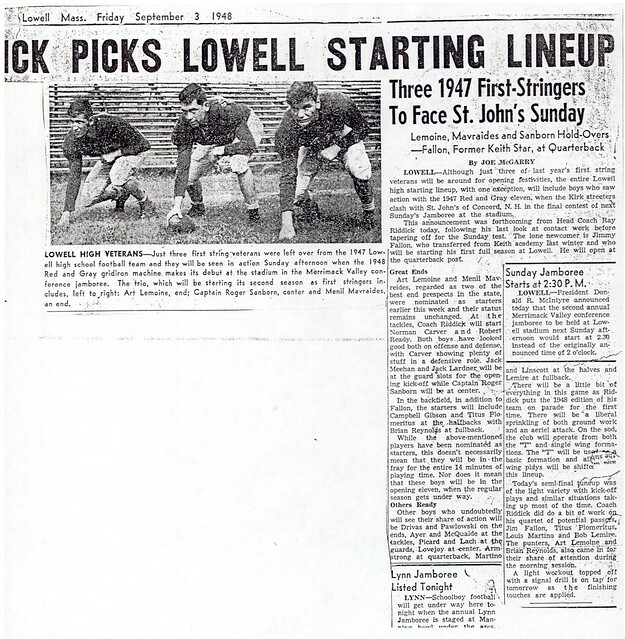 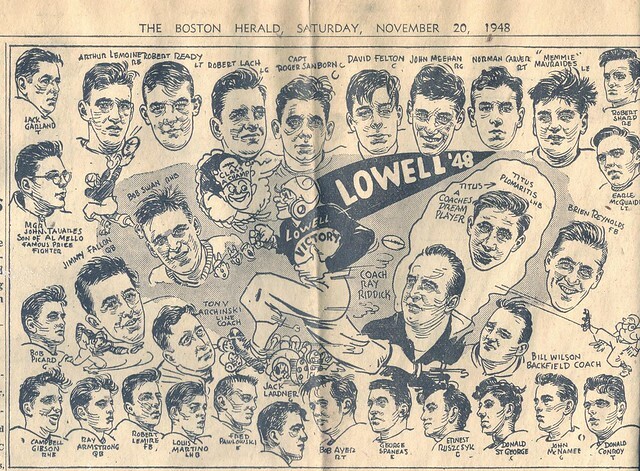 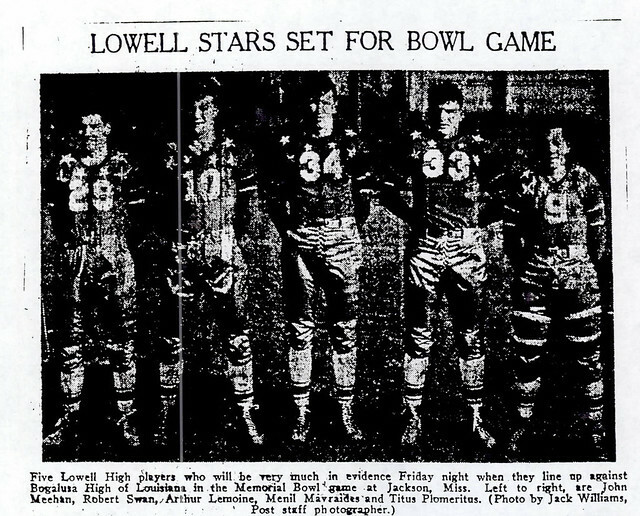 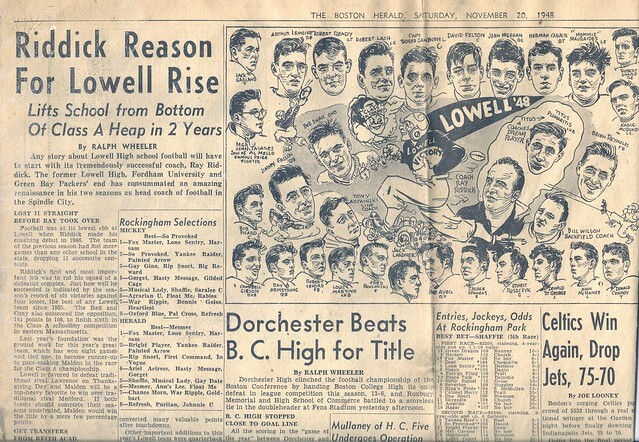 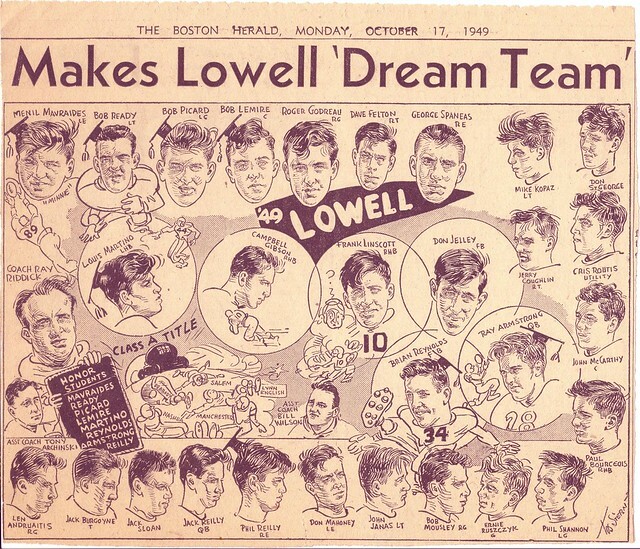 As a junior Mavraides achieved All-State honors for Lowell High’s first undefeated bowl team. 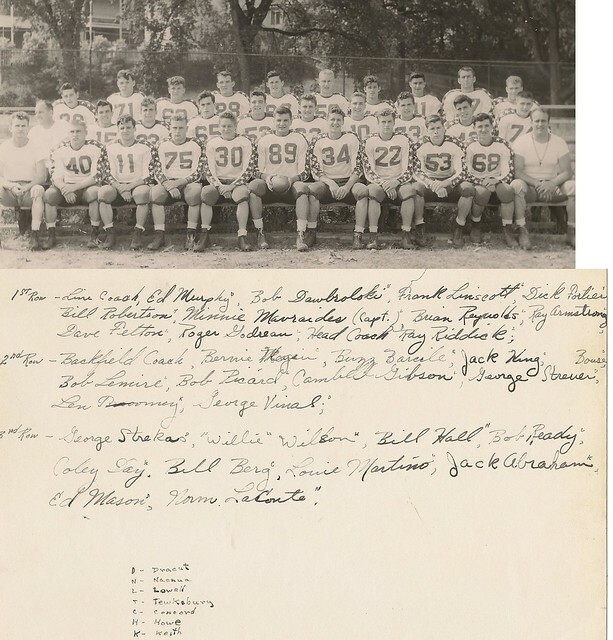 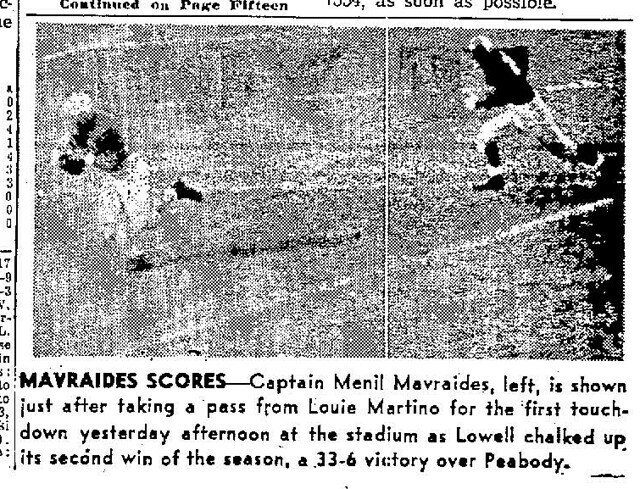 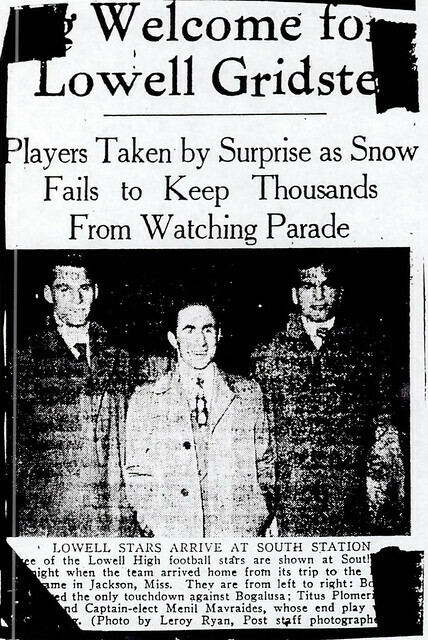 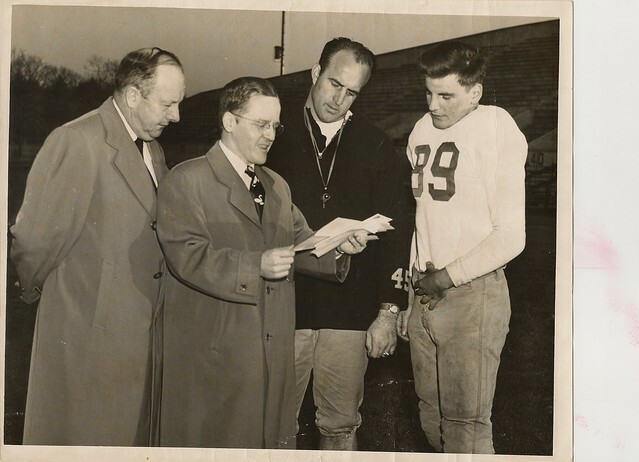 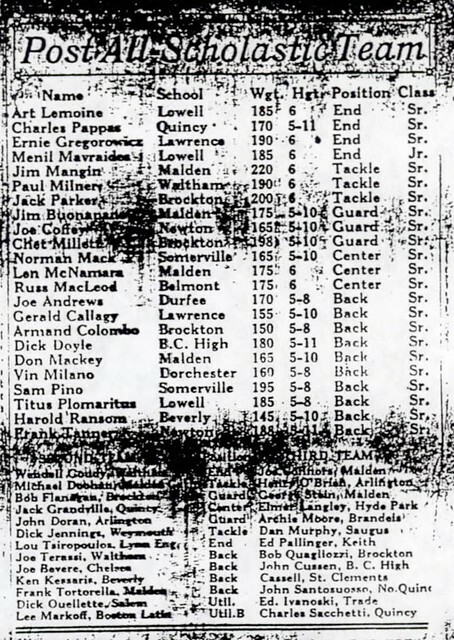 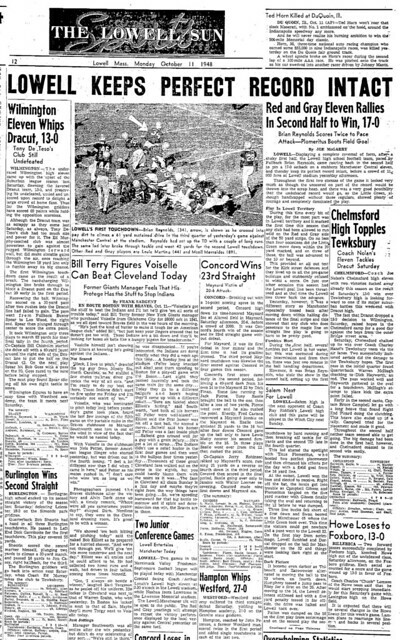 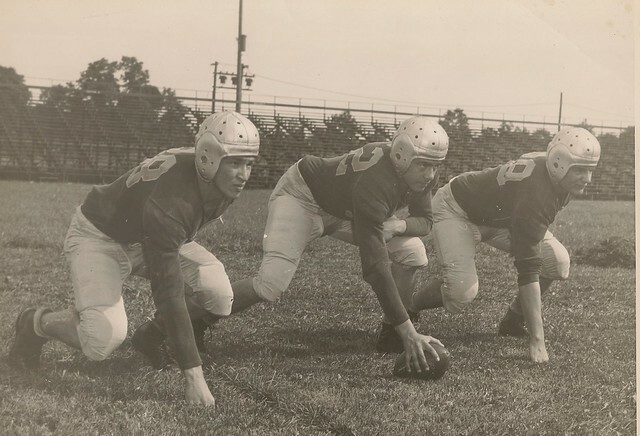 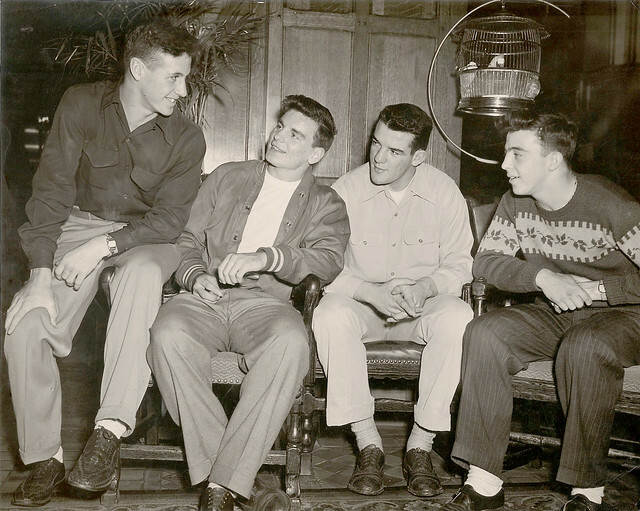 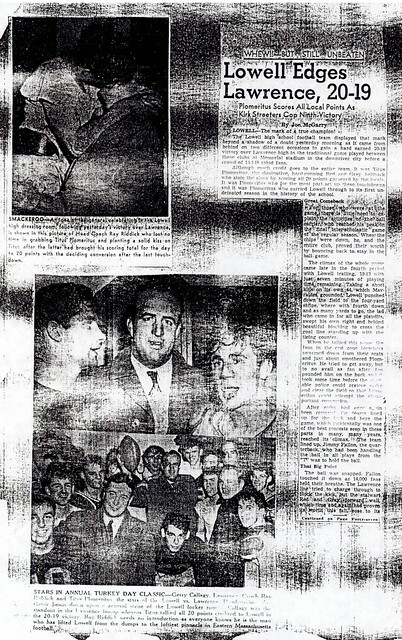 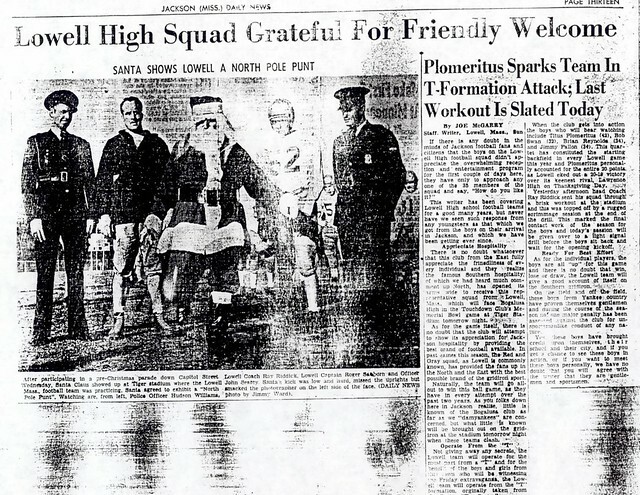 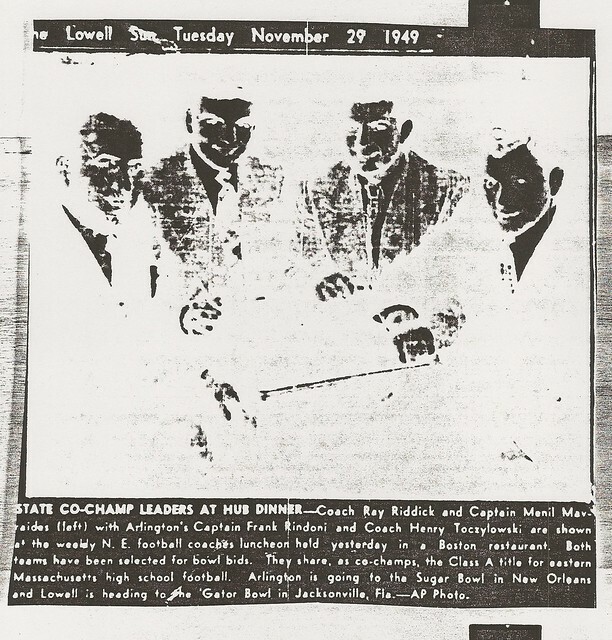 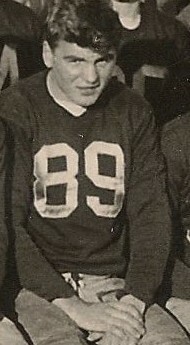 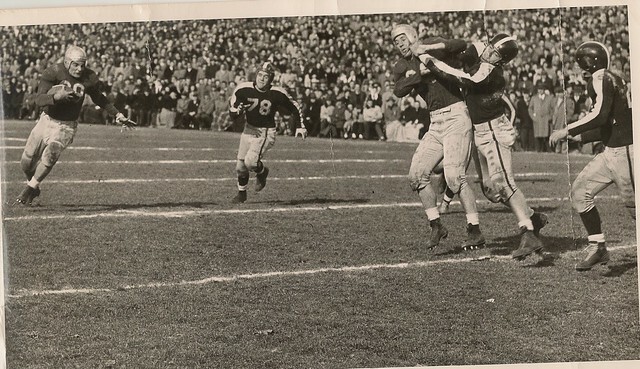 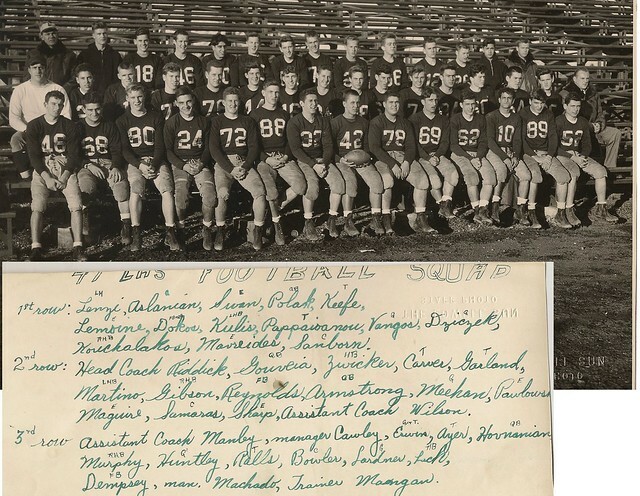 In 1949 Minnie captained the Red and Gray to a perfect 10–0 season and its first Eastern Massachusetts State Championship. 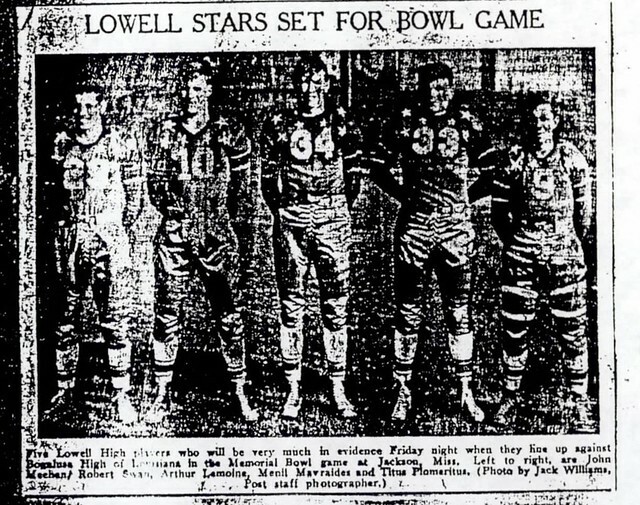 He helped lead Lowell to a 14–7 victory in the high school Gator Bowl Game in Jacksonville, Florida. 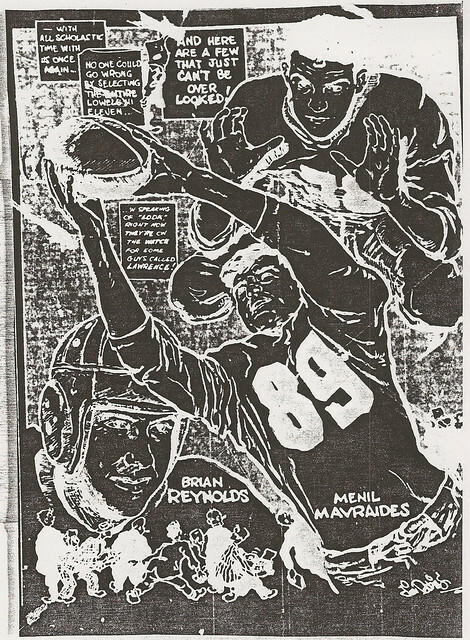 The culmination of Mavraides career saw him named a high school All-American for his standout performances. 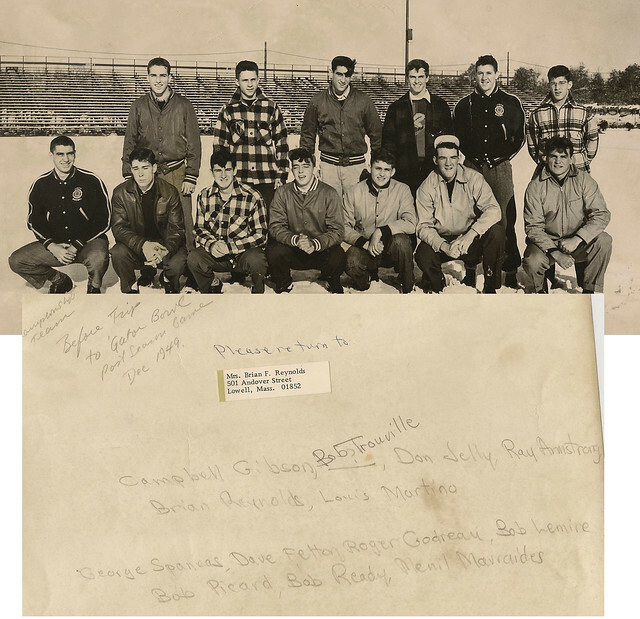 Success followed the big end beyond his high school career. 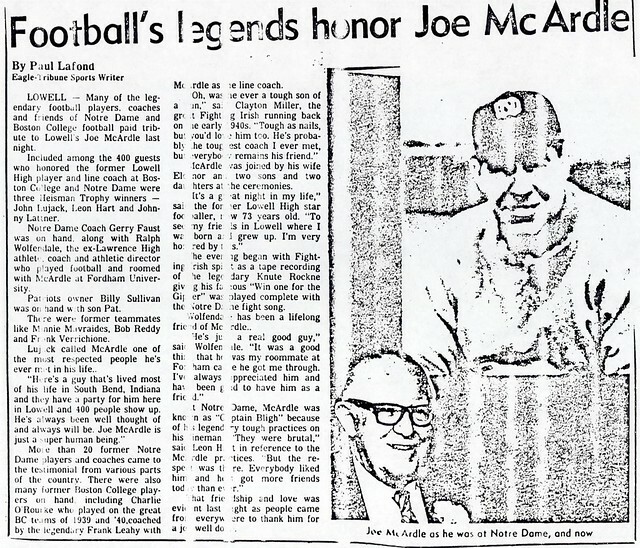 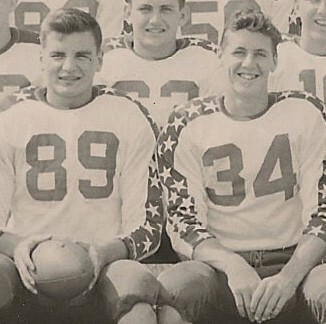 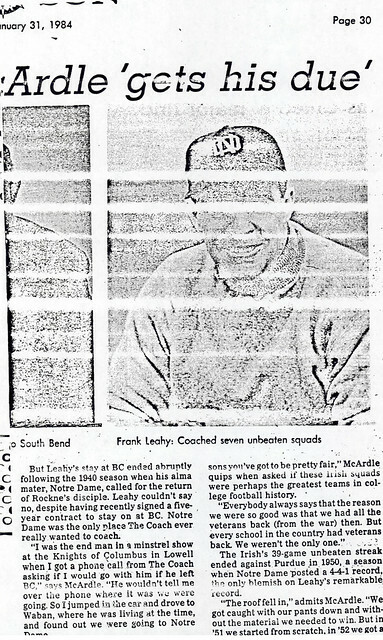 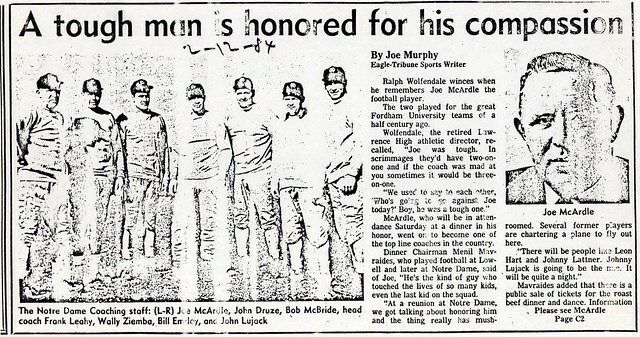 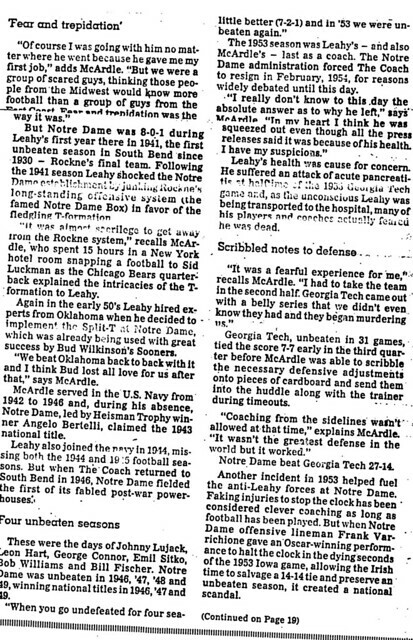 He went on to star as an All-American guard and placekicker for Notre Dame University and then for the Philadelphia Eagles of the National Football league. 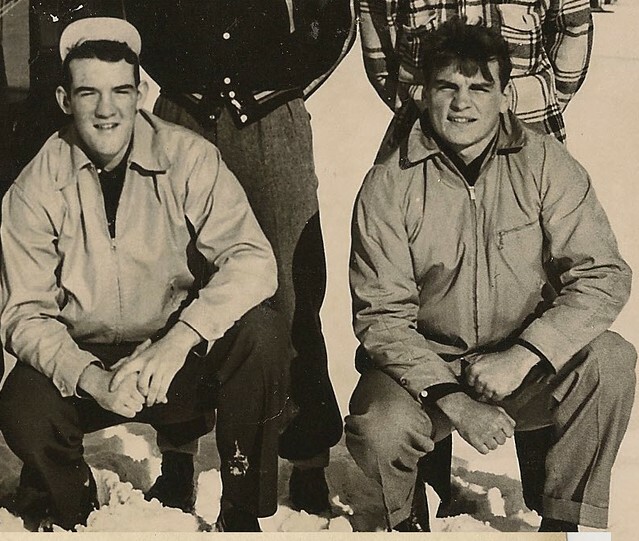 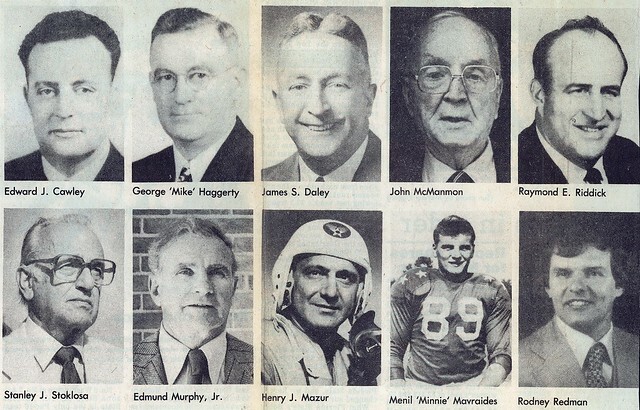 While serving as an officer in the U.S. Air Force Minnie, along with Ted Williams, George Halas and Terry Brennan were honored by the Washington, D.C. Touchdown Club as the most outstanding service athletes.